TRY TREAT ME MINNOWS TODAY! DO YOU KNOW WHAT'S IN YOUR DOG'S TREATS? Are they full of grains and fillers? Rendered animal parts? Preservatives? Artificial Colors and Flavors? With TruDog, all of that is a thing of the past! 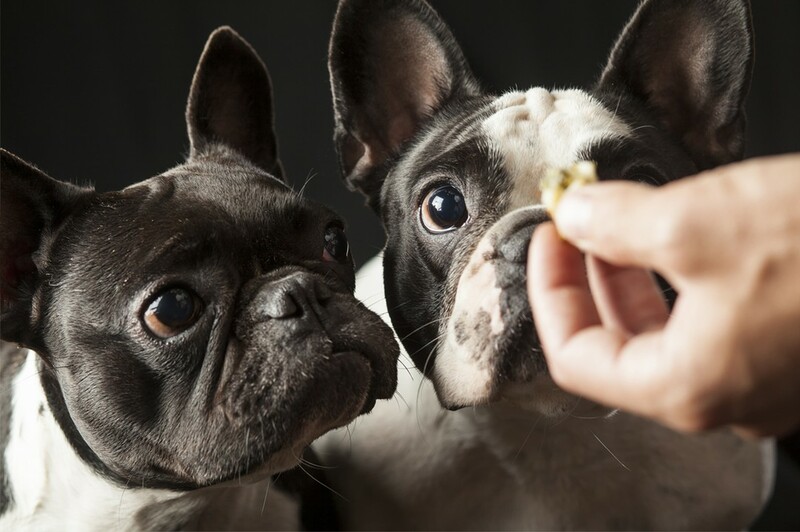 Sourced and made in the USA, these bite-sized minnows are suitable for dogs of all sizes and breeds. The delicate freeze dried raw texture makes them easy to eat and slightly crunchy for your dog's delight. Made with 100% natural minnows, you'll never worry about your dog getting additives, allergy-causing ingredients, grains, fillers, or by-products. Just pure, wholesome minnows- just like your dog would choose in the wild. WHY ARE HEALTHY TREATS IMPORTANT? We love extra treats and snacks...and so do our dogs! If we choose to constantly snack on sweets rather than healthy options like fruits and vegetables it can mean a lot of extra calories and possible health issues down the road. It's the same idea with our fur babies and their treats! 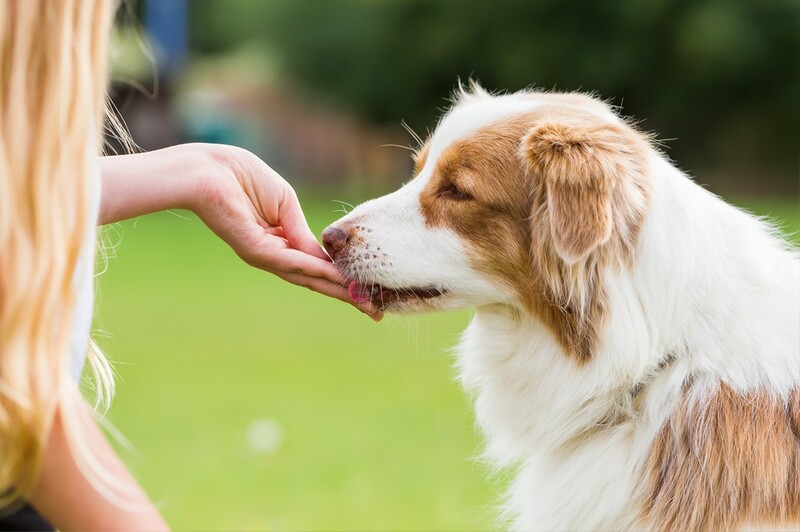 Treats should be no more than 10% of your dog's diet. But if we were to closely track how many treats we give our fur babies on a weekly basis, we'd probably be shocked by how much we are giving them. That's why healthy treats are vitally important. And it's our job as pet parents to make sure those extra calories they're eating are packed with as much nutrition as possible. How many treats we give our dogs IS important. But JUST AS IMPORTANT is the ingredients in those treats and where they come from! Dozens of pet foods and treats are recalled every year due to added hormones, chemicals or harmful bacteria. The most infamous recall was the major recall of 2007, which included 150 major pet food brands. This recall was in response to dozens of deaths and thousands of illnesses resulting from ingredients that were manufactured outside of the U.S.
Chew Me jerky is wholly sourced and made in the U.S., in facilities monitored and inspected by the USDA. 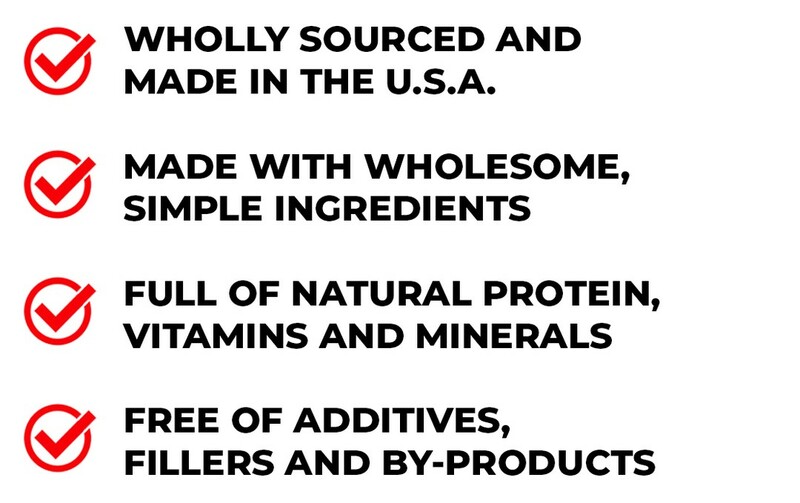 Chew Me jerky is also made from simple, wholesome ingredients and free of chemicals, additives, and GMOs. "My dogs love these minnows. I have to ration them out, or they would eat the whole bag! I sometimes cut them up and add to their food as well." 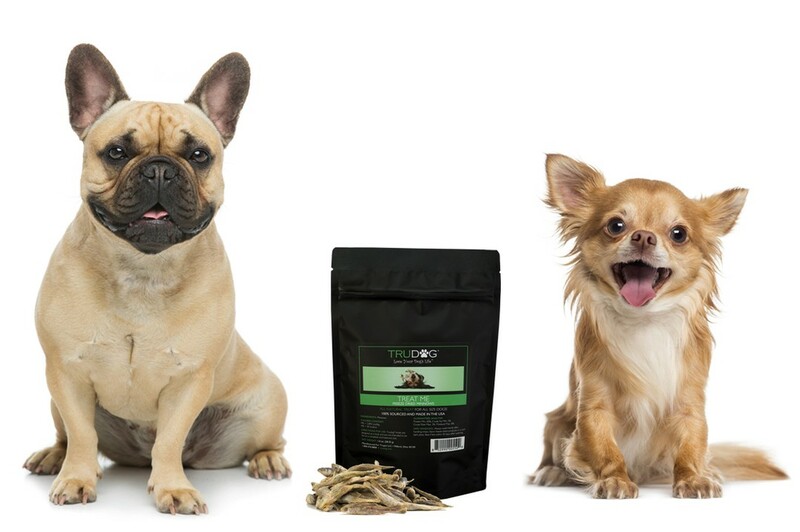 - Julia R.
"My dogs go gaga for these treats. They are SO healthy and small (in a good way!) that I don't have to worry about counting calories with these treats!" - Lydia K.
"Both of my dogs LOVE minnows - which is great because one dog has severe allergies and tolerates them well. Both dogs know MINNOWS by name and can't get enough! I feel good knowing they are a TruDog product." - Amy B. 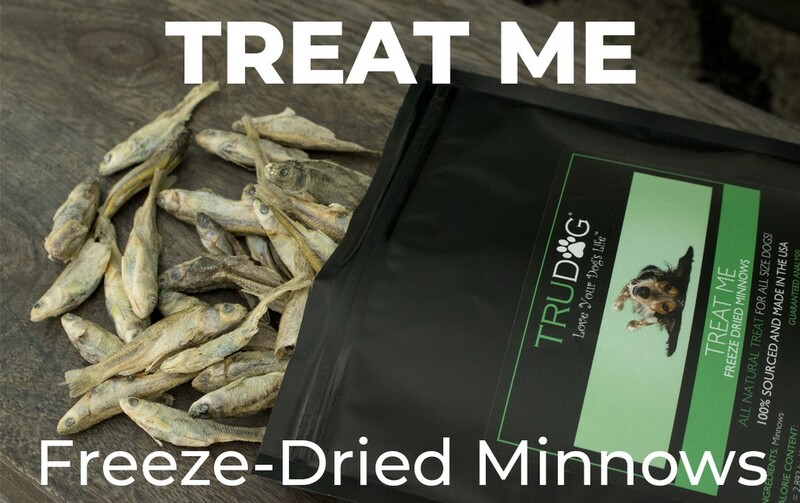 "If you can get over the shock of seeing a dried minnow when opening the bag, as I did because I was not expecting to see the treat SO REAL...my dog did not care. He loves it and would eat this first over any other treat! It is also helpful for his teeth which is another bonus. Try it, you may be surprised!" - Betty B. "They are LITERALLY a whole freeze-dried fish, eyes and all, so when I initially opened them I got a scare, but my pup ABSOLUTELY LOVES THEM! And because they are the whole fish, I have NO QUESTION that it is what it is and there are NO harmful additives." - Lisa D.
"We now affectionately call our dog "Minnow Man"! Our golden retriever goes absolutely nuts over these treats! He is 10 yrs old and acts like a puppy all of the sudden. We will make sure we never run out!" - Wendi V.
Although I have not tried it myself, my three (3) dogs have made it quite clear that they don’t want anything else but TruDog food and treats. They are adamant about these treats!!! Each one said to give the treats 5 stars, at least. And as their cook and bottle washer, I am delighted to know they are being fed the healthiest food around. Excuse me, they are begging me to stop writing and get their bedtime treats!! - Pam M.
TRY TREAT ME TODAY AND SEE THE TRUDOG DIFFERENCE! Order right now with confidence! 60 Day Money Back Guarantee! Try out TruDog's Treat Me and if you or your dog don't like it, you’ll get your money back. There’s absolutely no risk in giving it a try. No questions asked you can get your money back. Try out TruDog's Treat Me and if you or your dog don't like it, you’ll get your money back. There’s absolutely no-risk in giving it a try. No questions asked you can get your money back. THINK YOUR FUR BABY WOULD LIKE SOMETHING ELSE INSTEAD? TruDog has a wide selection of treat packs, conveniently bundled so they can try a variety of tasty treats at a great price!